or Josephine Donohue 087 9447262 ASAP to secure a place. 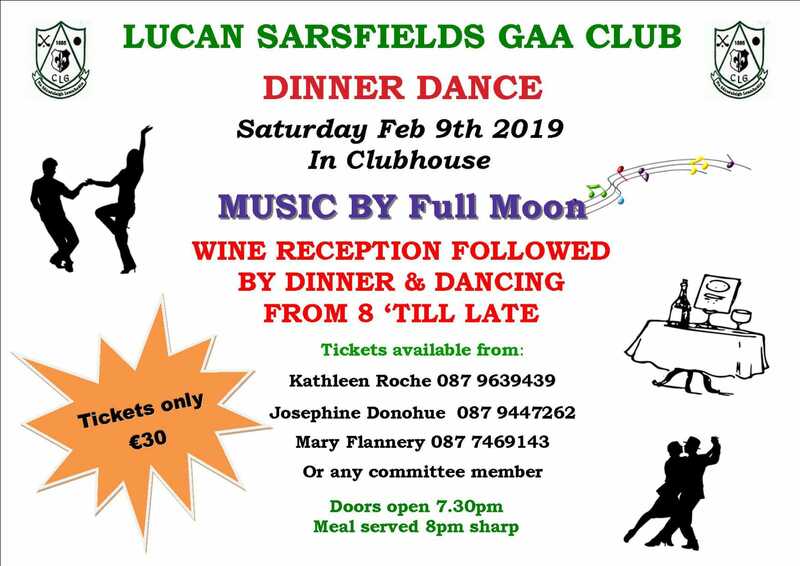 Tickets are only €30; this includes a wine reception and a 4 course dinner, Dancing after with Music provided by FULL MOON. It is sure to be another great event , so don't miss out get your ticket now before you forget.